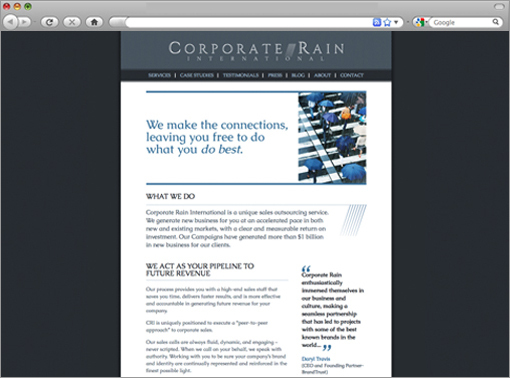 After completing a corporate identity update, Studio K&M redesigned Corporate Rain’s website. 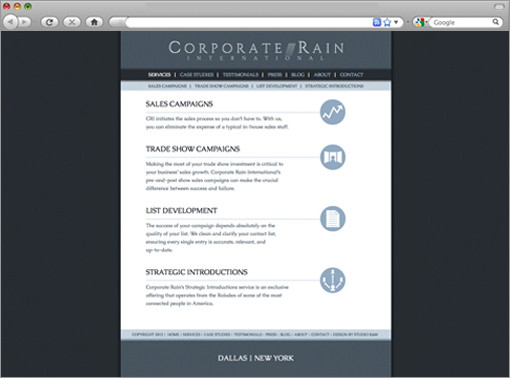 In a very subtle fashion, we incorporated rain into the site to add more design texture. In addition to giving the site a clean, modern update, we created a more usable, functional site.